"When you inhale, you are taking the strength from God. When you exhale, it represents the service you are giving to the world." Namaste to all of you, my friends in the practice of yoga and life. I am dedicating this newsletter to the memory of Geeta Iyengar who passed away on the 16th of December 2018, age 74. 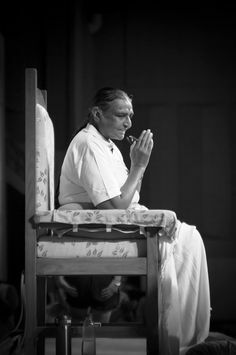 For me, and all of her students, she was an inspiration and a true yogini having dedicated her life to live in the Light of her father, Guruji Iyengar. Together with more than 1.200 students from around the world, represented by 56 countries, we met to celebrate the BKS Iyengar birth centenary celebrations from the 3rd of December to the 14th. She taught classes for 5 days, wanting to share all she knew with us. It is believed that great yogis can choose the moment to depart from this life. Geetaji is no more physically with us, but she lives forever during our yoga practice. "We are missing the gold if we do asanas as a physical practice only"
I am continuing to tour the world and share the knowledge of Iyengar Yoga with all of you. Come join me if possible. During 2019 I will be teaching in Goa and Mexico. Two of my favourite places in the whole wild world. You won't be disappointed as both places offer wonderful accommodation, great locations, well equipped yoga spaces, delicious food, great company and of course 2 Iyengar yoga classes per day. March 3rd to 10th 2019 - Devarya Wellness is located on beautiful Morjim Beach in the north of Goa. Don't take it from me, follow them on Instagram devaryawellness to see for yourself their fabulous settings and also their food lounge Chia Lounge by Devarya for wholesome food and sunset drinks. October 27th to November 2nd 2019 - Casa Armonia in Cancun, Mexico. At long last, I managed to secure a place for our yoga holiday in Mexico, owned by one of my students in one of the most beautiful parts of Cancun, with a fully equipped yoga studio at reasonable price. From Casa Armonia we can visit Islas Mujeres, Tulum, Holbox (eco resort), Playa del Carmen and Chichen Itza, to name a few. The dates of the yoga holiday coincide with the colorful and lively "Day of the Dead" celebrations. Thirty minutes away by road is the large market town of Mapusa, which has good coach connections to other Indian towns and cities. There are several markets near by, Anjuna on Wednesday morning and the "Night Market" on Saturday to name but two. There will be 2 Iyengar Yoga classes per day in one of the yoga shalas. Due to popular demand I am running the late 2019 yoga holiday in Mexico for the first time. This coincides with the Day of the Dead celebrations which promises to be great fun! Of course we are taking the yoga seriously. CASA ARMONIA and yoga studio is run by Gaby Ortiz, one of my Mexican yoga students, who is now a teacher herself. perfect environment to let your mind and body grow.